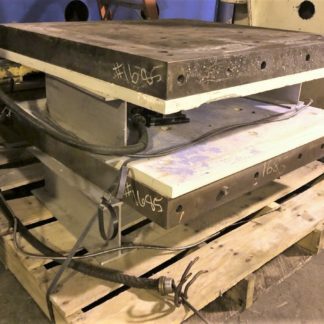 Federal 45 3″ STR, 11″ SH, 28X18 BED, 60-120 SPM, 2.5″ ADJ, Reconditioned, Nice! 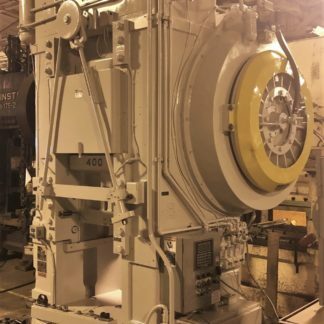 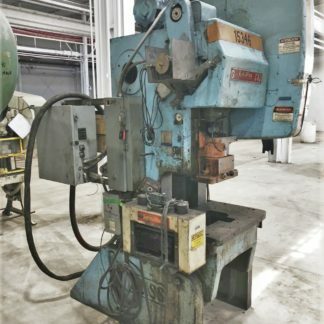 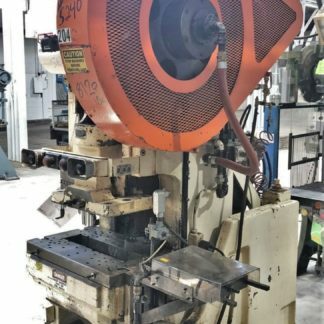 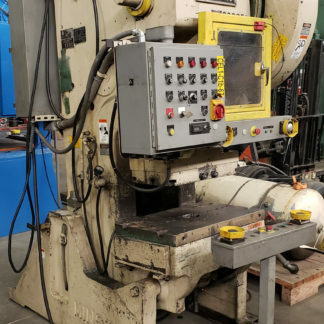 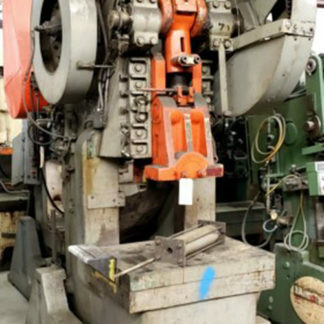 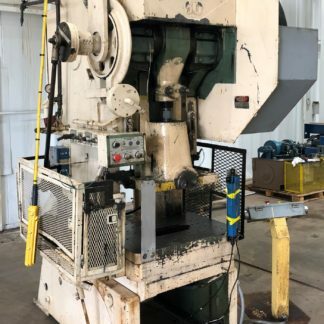 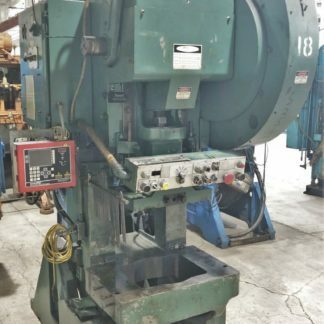 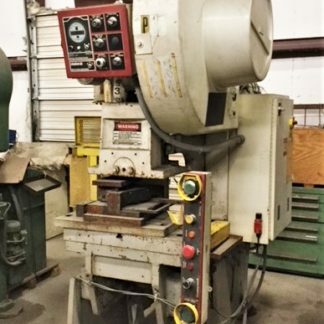 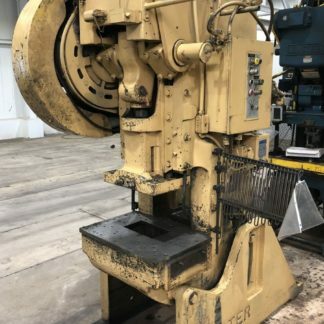 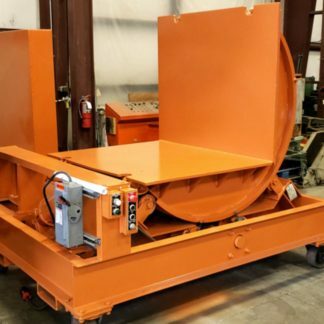 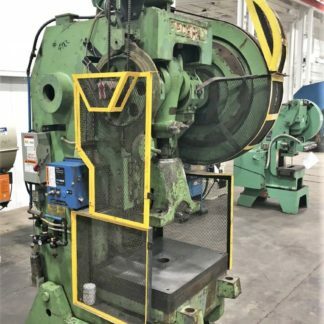 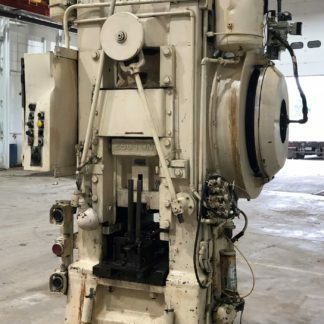 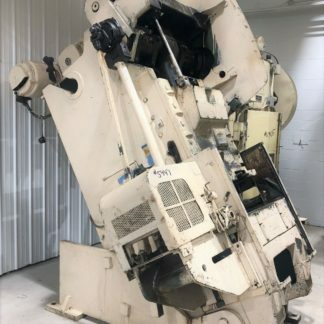 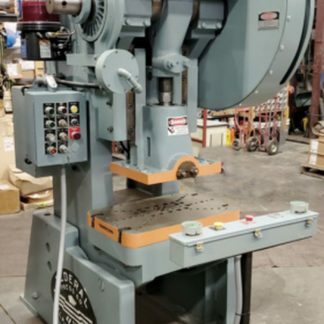 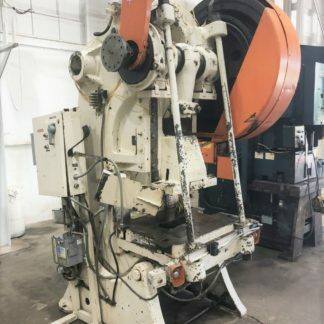 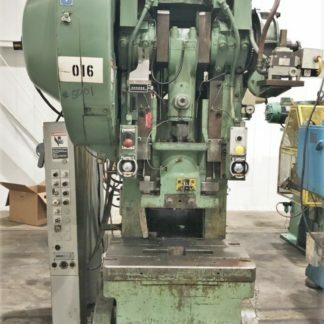 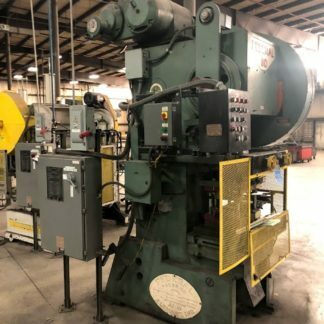 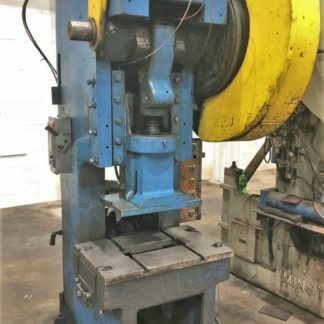 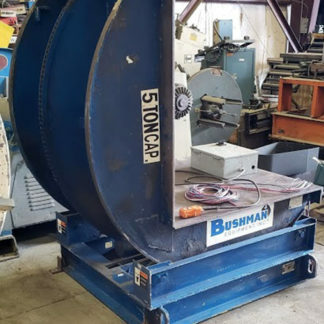 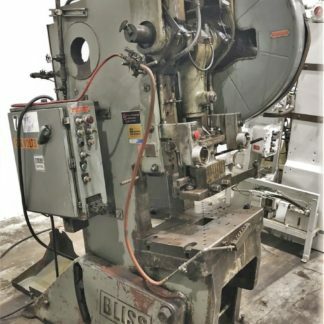 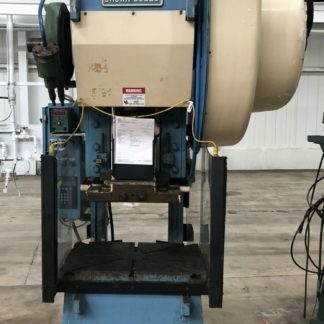 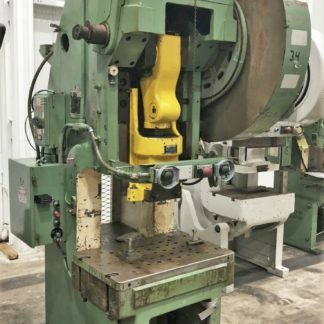 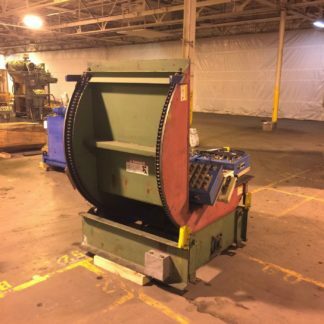 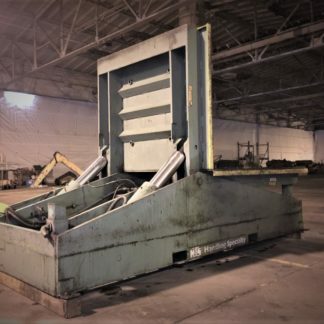 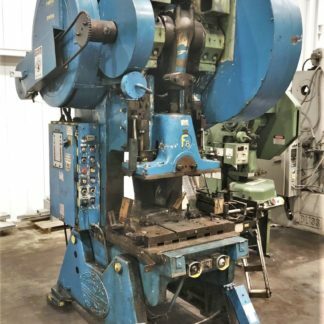 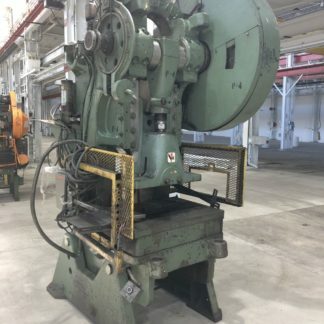 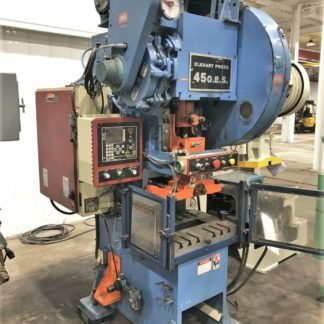 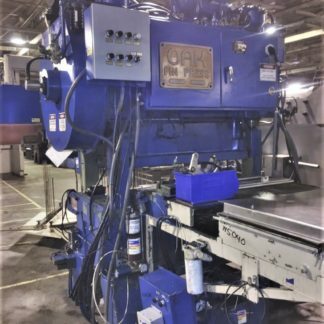 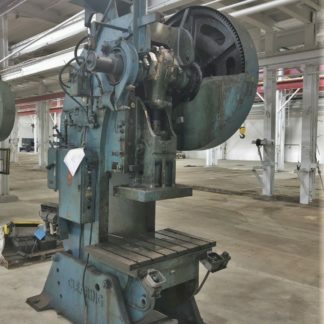 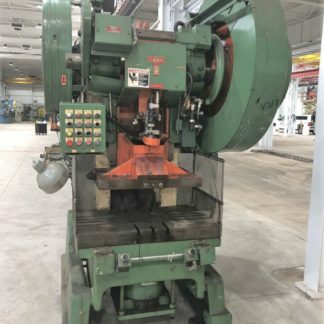 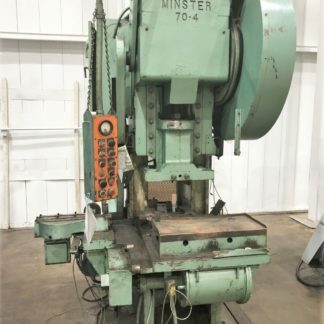 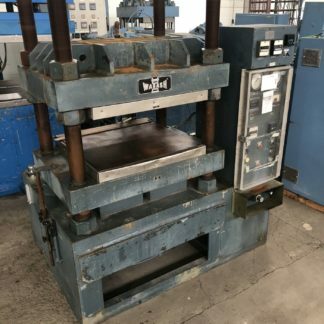 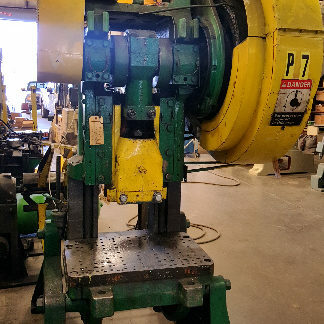 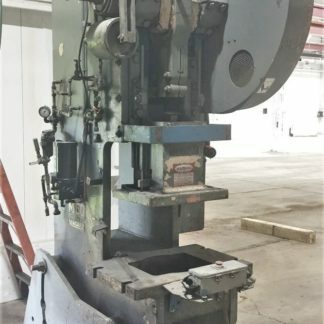 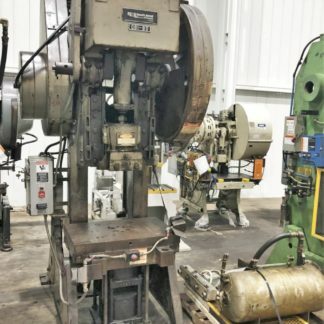 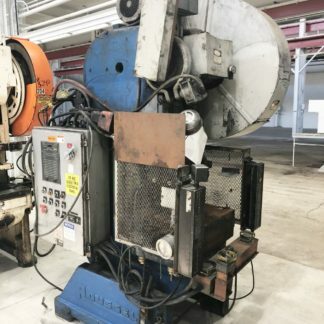 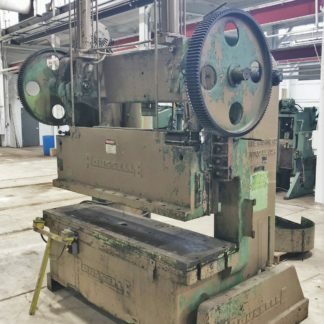 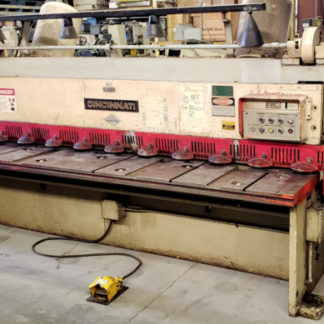 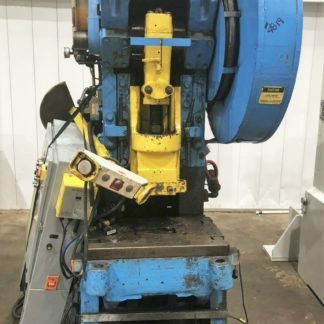 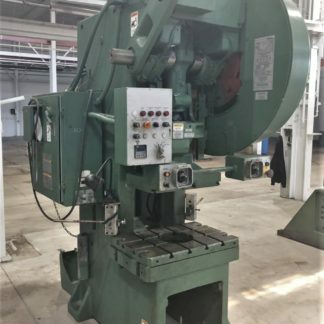 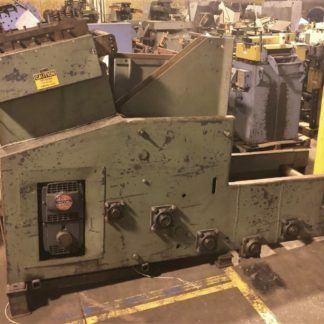 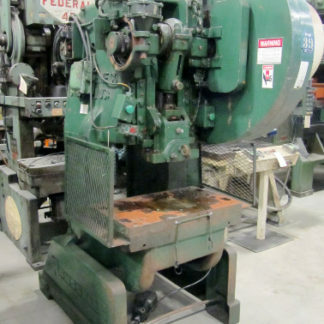 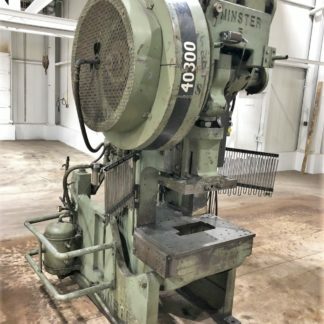 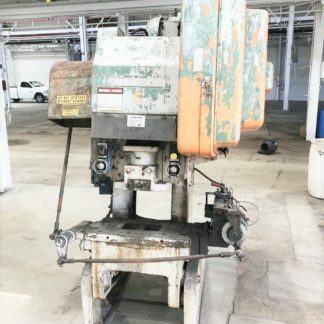 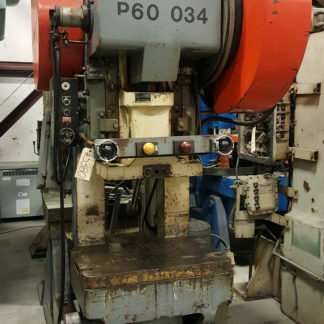 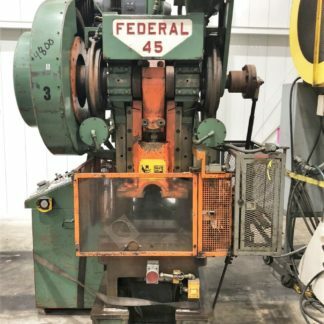 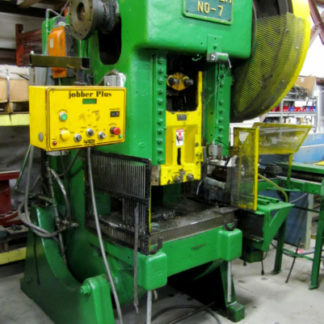 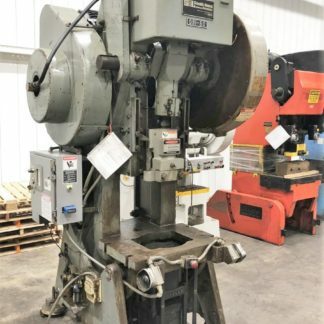 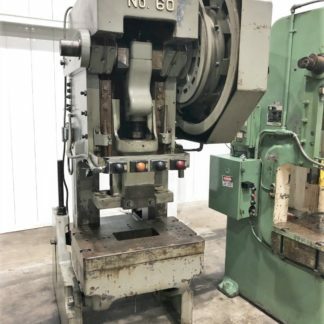 Federal 60 3″ Stroke, 15″ SH, 32″ x 21″ Bed, 125-250 SPM, 21″ Wide x 10″ Flanged Ram, RECONDITIONED, New press control and more, nice! 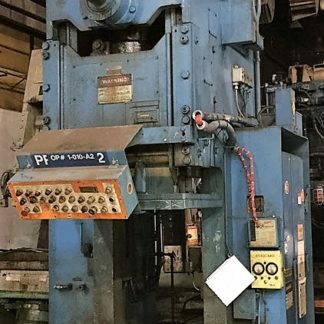 Brown and Boggs 5 F 5″ Str, 12-1/2 Sh.,, 32″ x 21″ Bed, 87 SPM, SLC-500 PLC Ctrls. 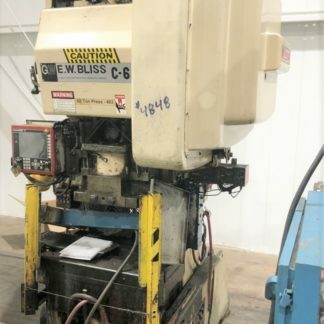 Bliss C-60 2″ STR, 12.25″ SH, 32.5X20.25 BED, 50-100 SPM, 3″ ADJ, Reconditioning now! 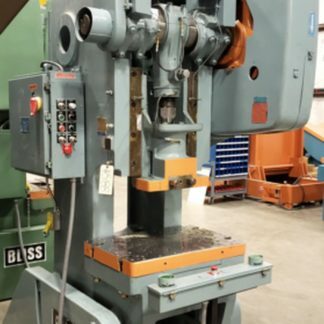 Bliss C-70 4″ Stroke, 15.5″ Shut Height, 24X18 Bed, 60 SPM, 3″ Adjustment. 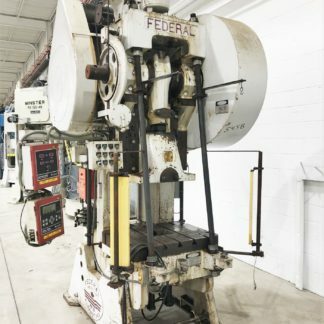 Federal 7 With Updated PCI-100 Cieco Controls! 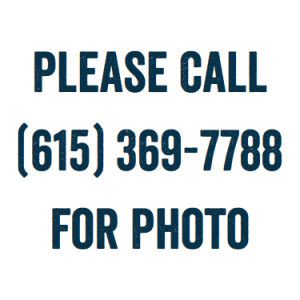 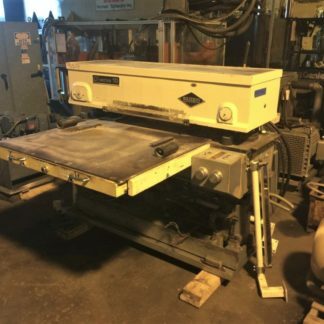 14″ Shut Height, 38″ x 28″ Bed Area with T-Slotted Ram & Bolster Plate. 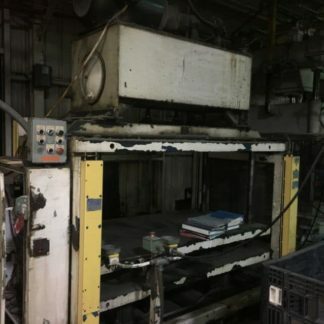 Komatsu OBI80 6.3″ Str, 13.19″ SH OB, 35.5″ X 23.5″ Bed, 37-75 SPM, 3.15 Ram Adj. 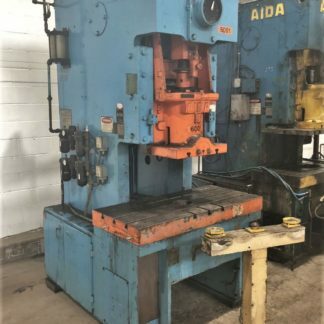 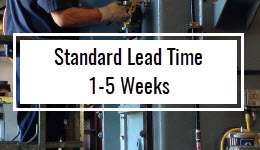 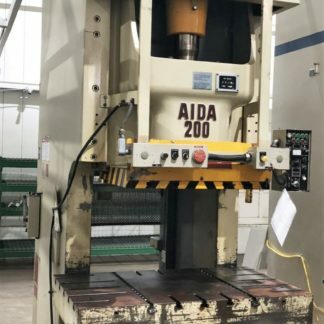 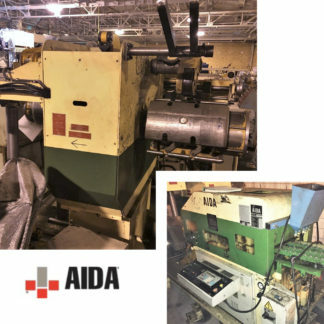 Aida C1-8(2) 6.29″ STR, 12.6″ SH OB, 52X24 BED, 60 SPM, 3.15″ ADJ, 4 in Stock Mich.-Tenn.
Aida C1-8(2) 6.29″ Stroke, 12.6″ Max Shut Ht, 52″ x 23″ Bed, 40″ x 23″ T-Slotted Ram, 220/440V, Isolator Pads, 4 in Stock Mich.-Tenn.
L and J 90 4″ ST, 16-1/2″ SH, 38 X 28 BED, 80 SPM, AC, 1990. 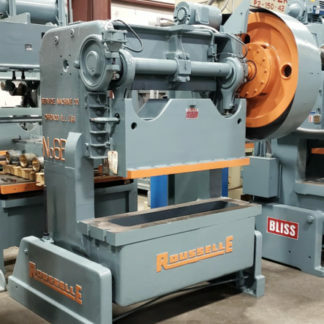 Rousselle G1-95 3″ Stroke, 14″ Shut Ht, 4″ Ram Adjust, 36″ x 26″ Bed, AB Controls, 2 in Stock!! 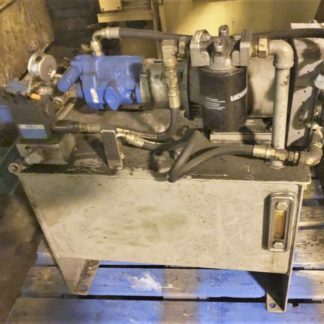 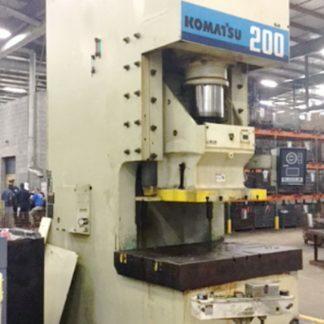 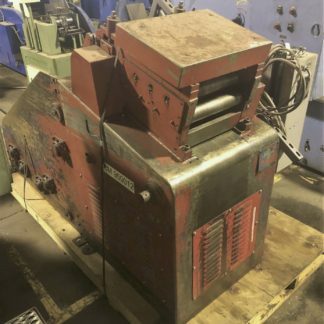 Komatsu OBS-200-3 5.5″ ST, 26.3″ SH, 57X33 BED, VS 40-80 SPM, 1989. 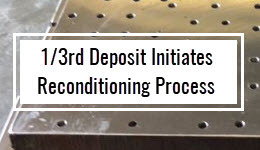 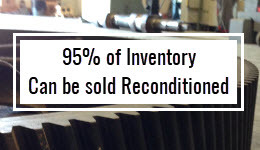 Reconditioning now! 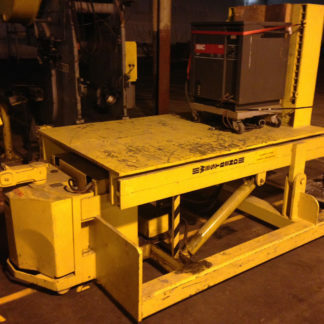 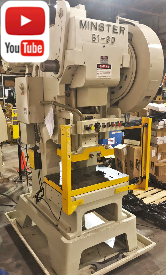 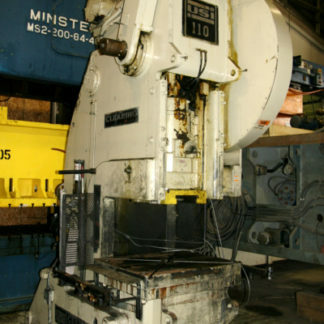 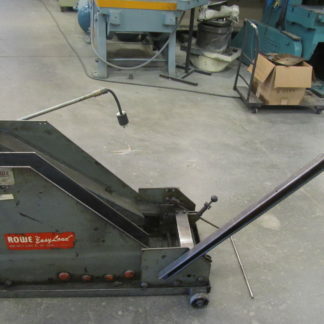 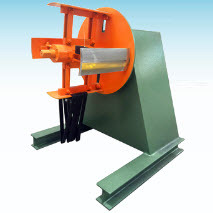 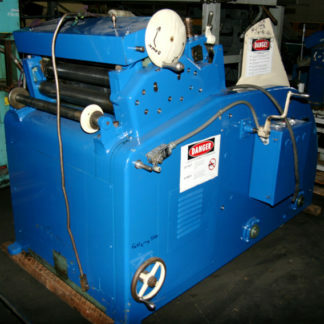 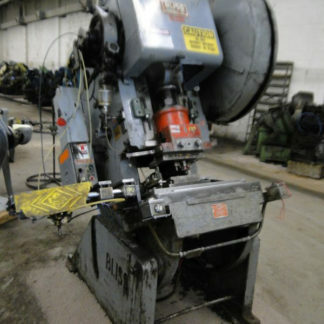 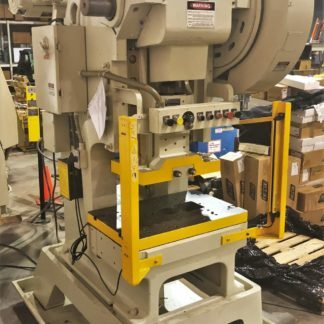 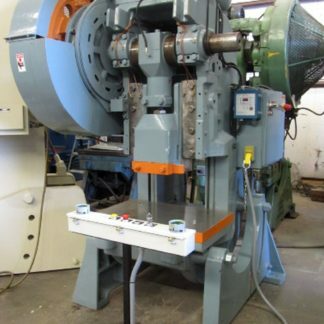 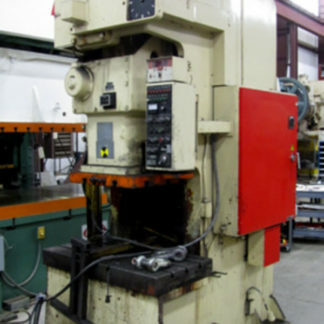 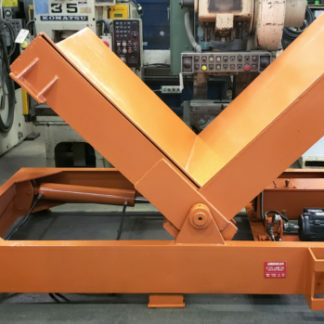 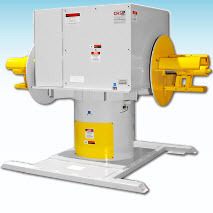 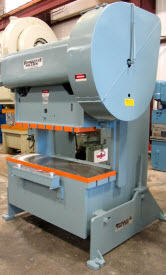 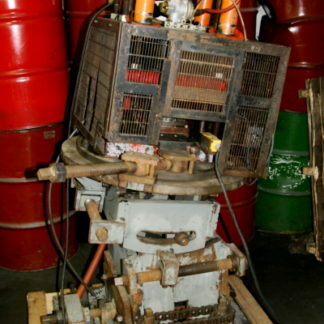 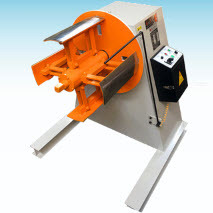 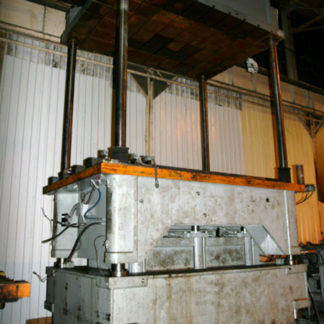 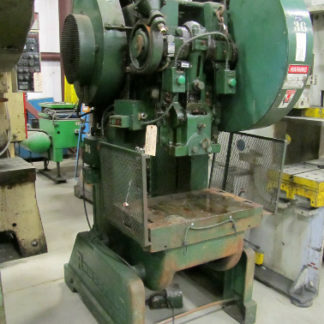 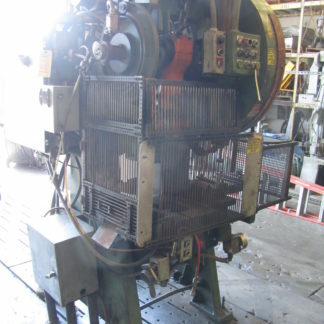 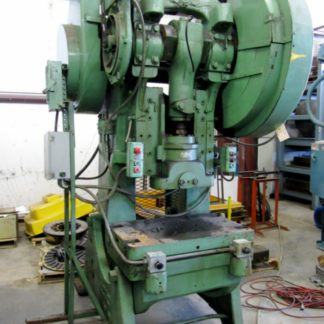 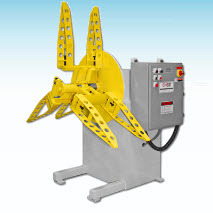 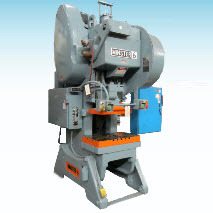 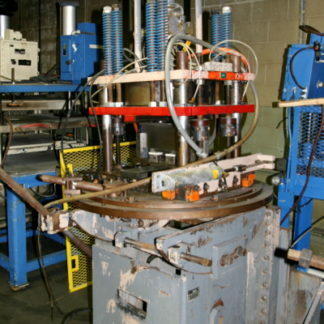 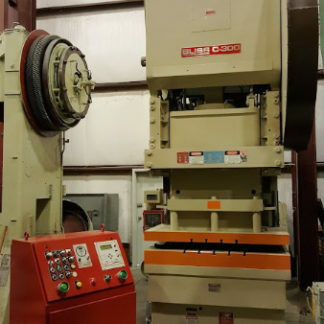 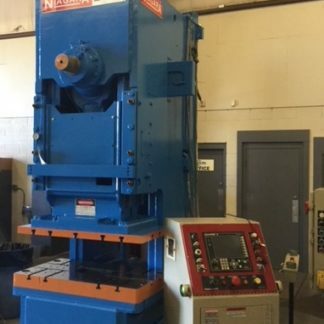 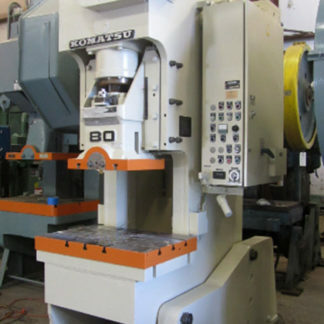 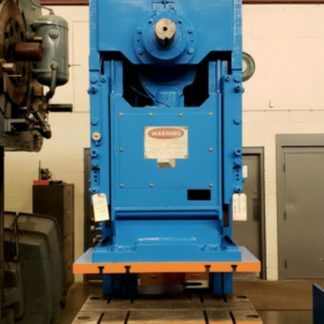 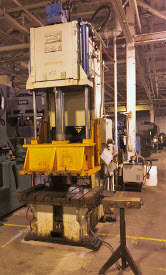 We Sell all Air clutch OBI Presses as we want to help get you on your way to an OSHA certified press. 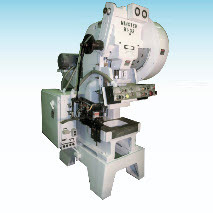 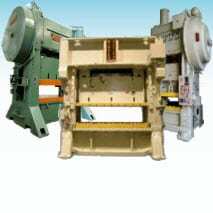 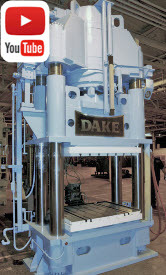 Our gap frame presses and OBI presses are also equipped with anti-tie down operator buttons. 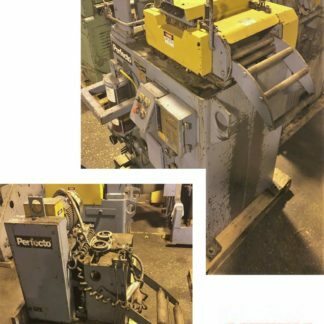 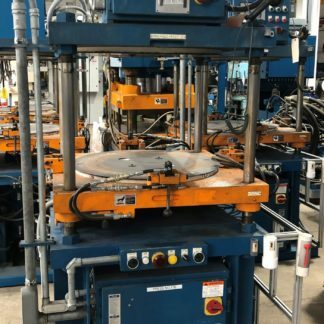 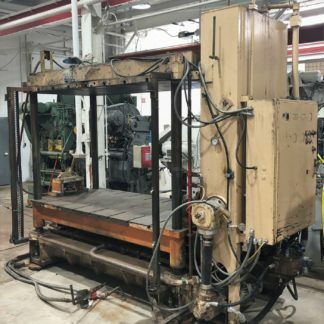 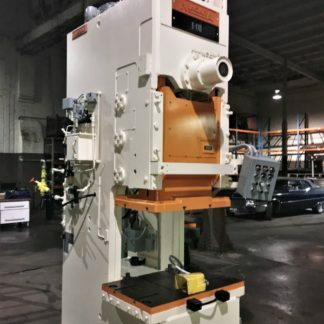 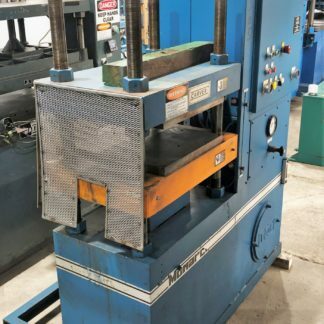 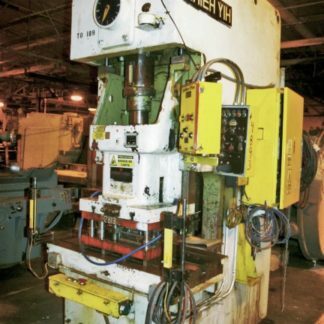 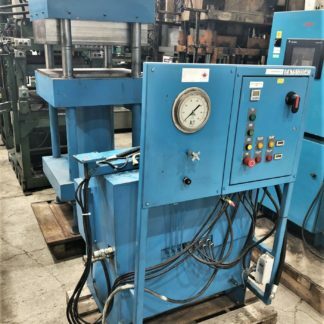 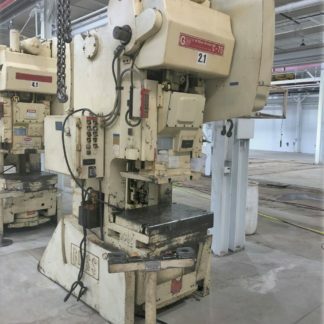 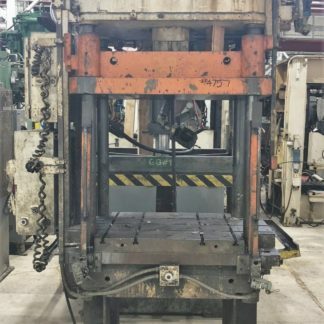 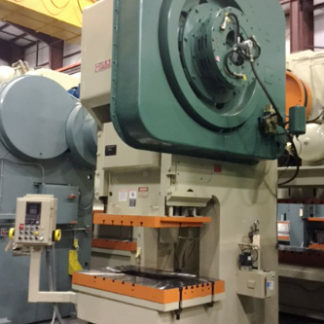 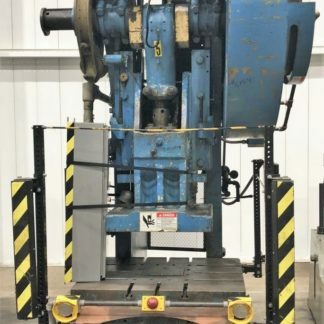 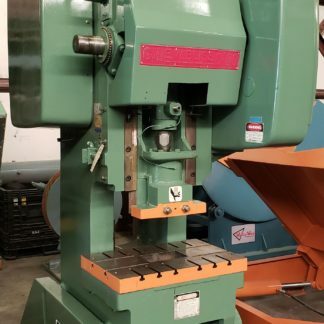 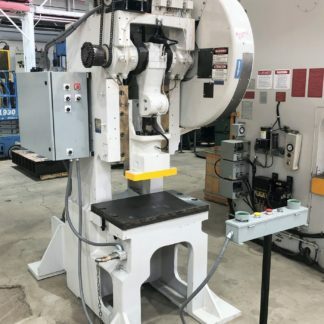 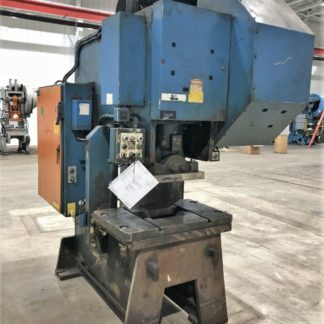 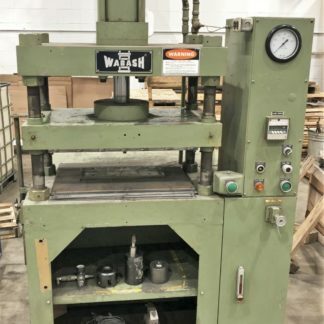 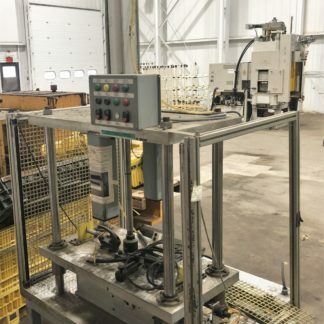 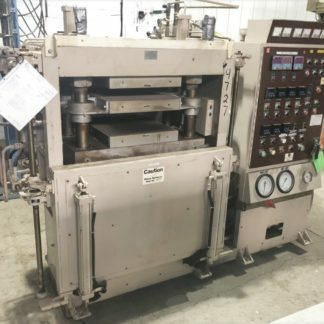 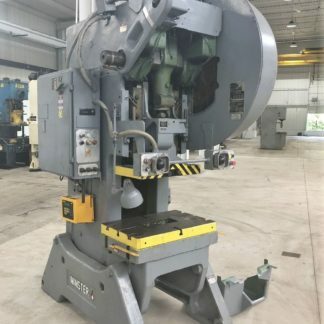 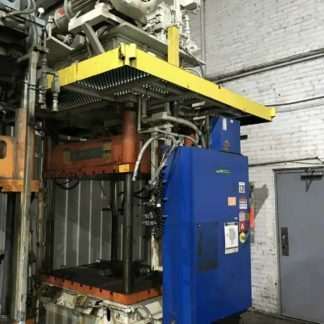 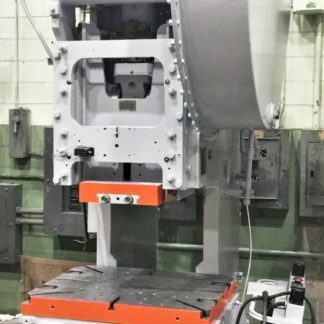 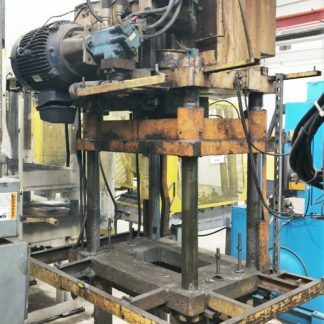 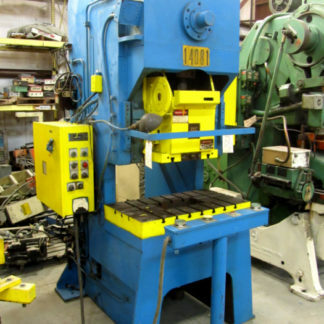 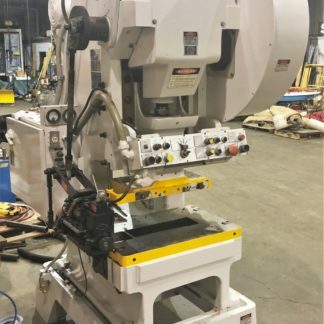 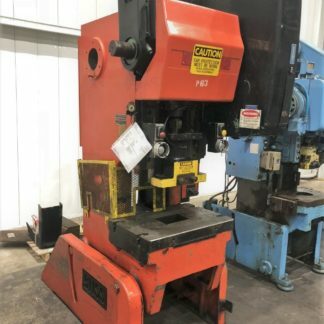 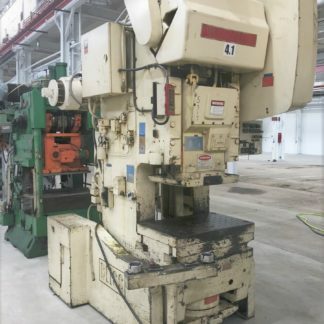 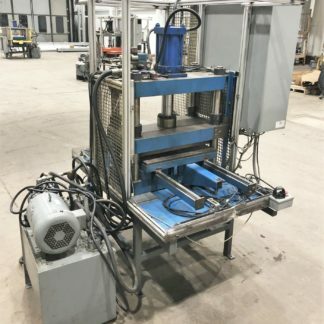 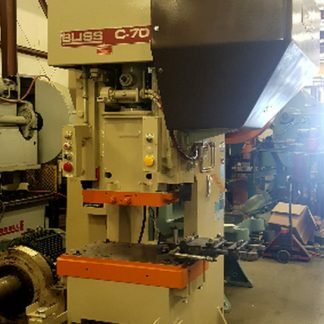 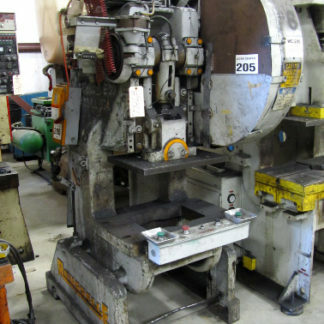 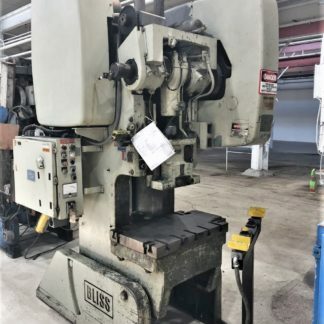 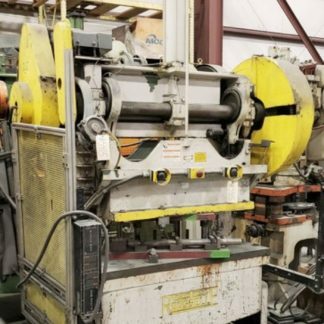 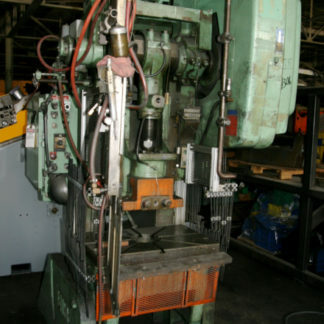 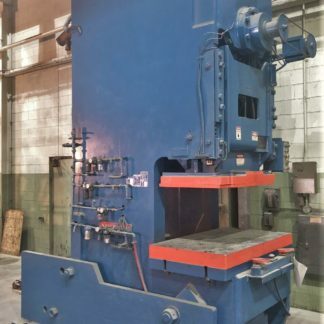 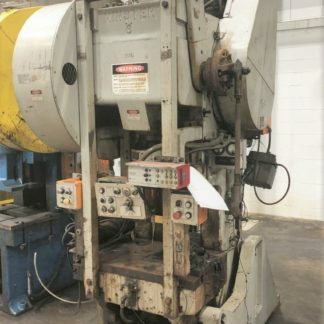 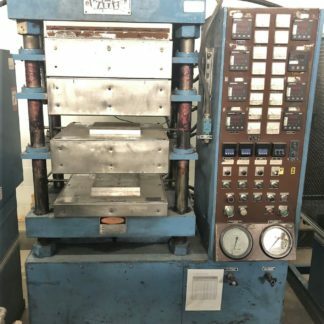 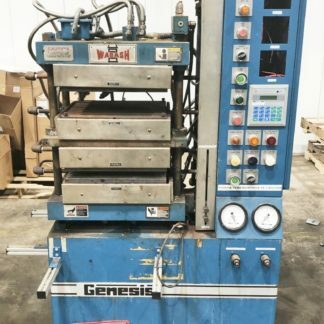 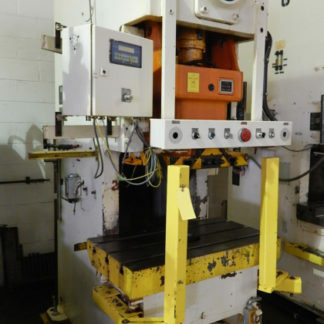 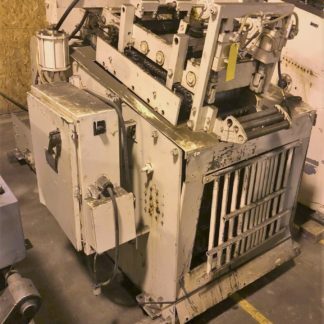 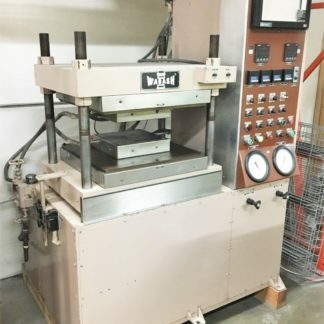 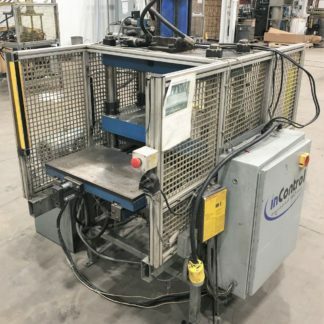 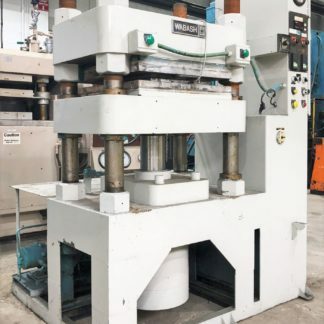 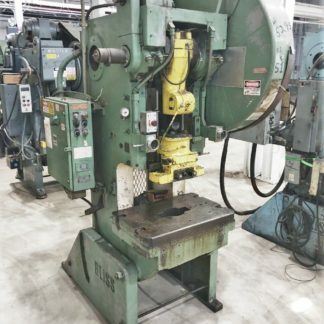 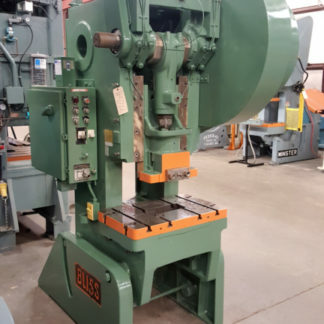 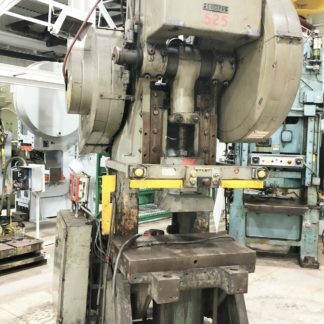 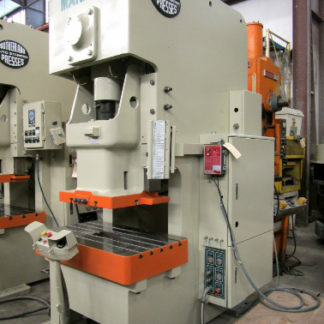 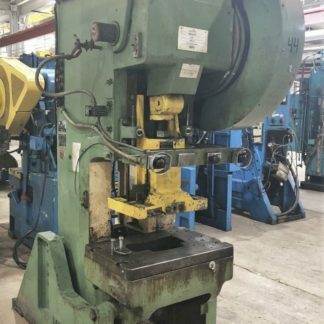 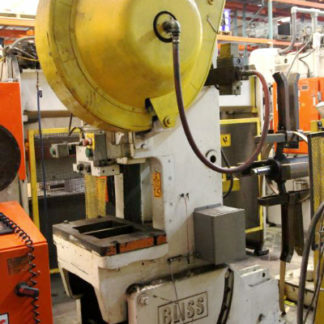 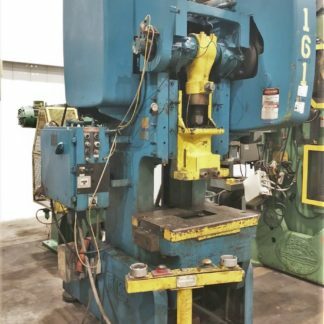 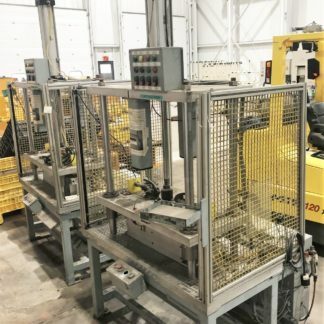 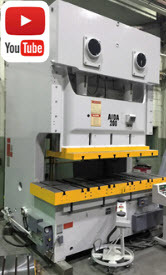 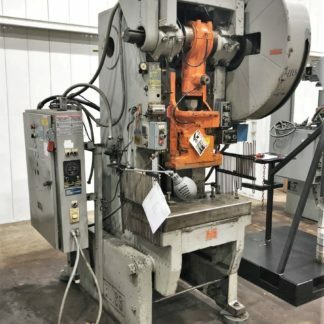 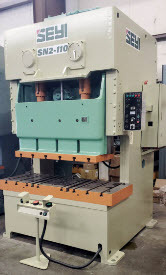 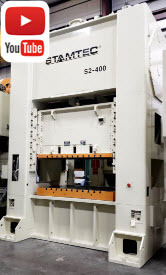 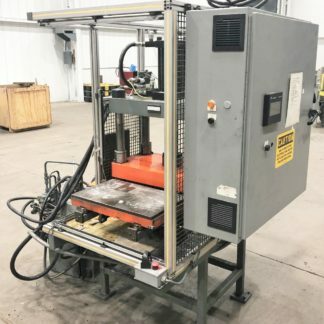 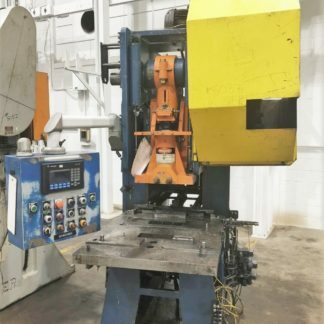 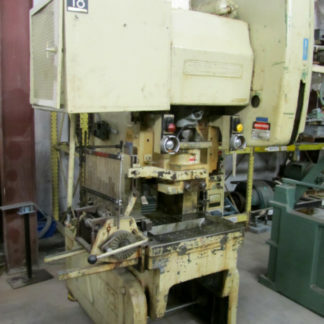 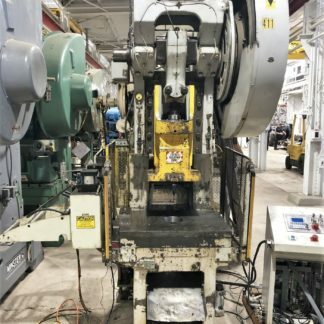 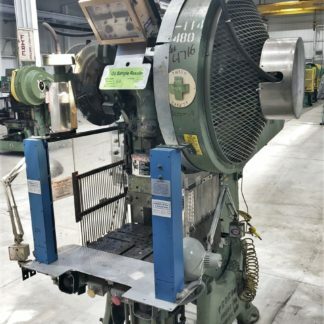 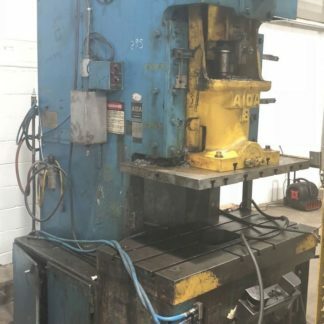 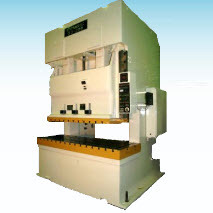 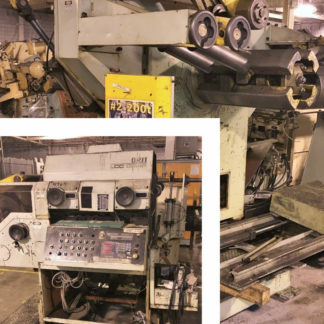 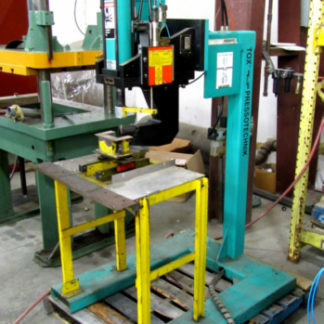 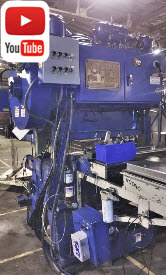 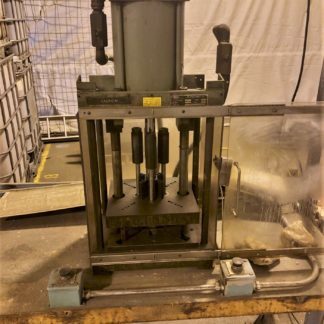 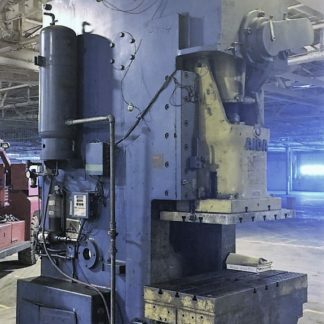 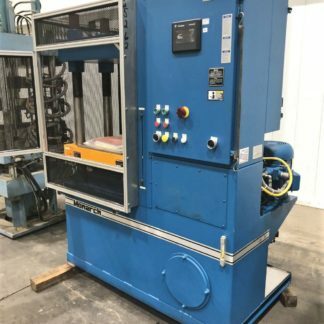 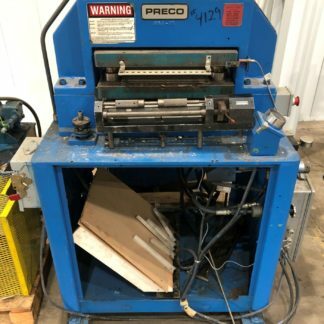 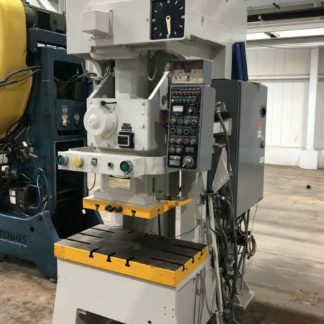 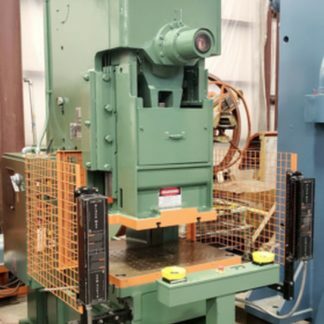 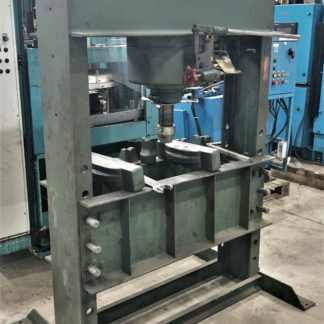 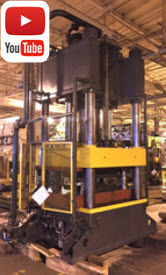 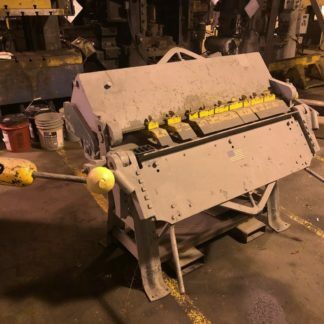 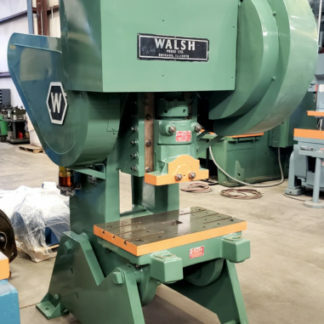 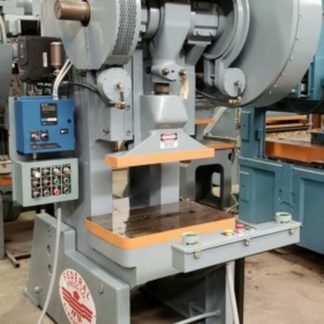 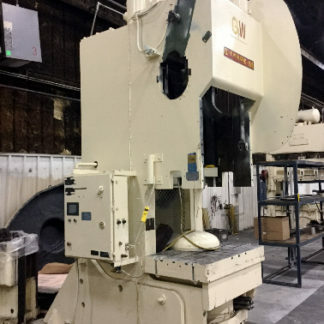 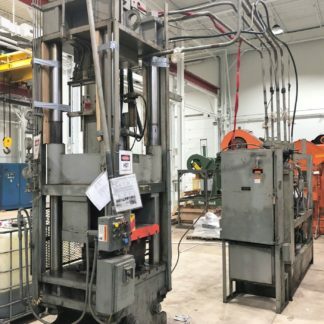 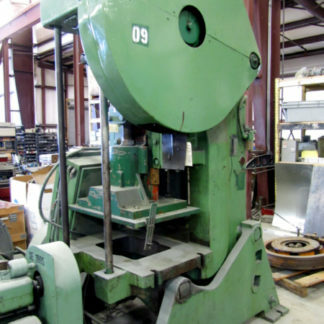 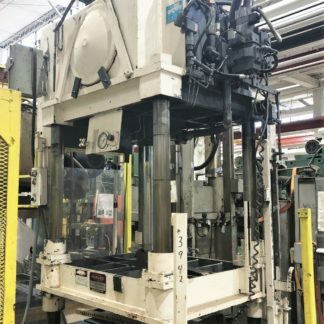 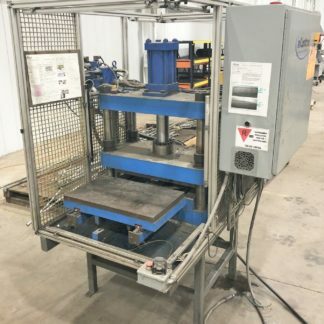 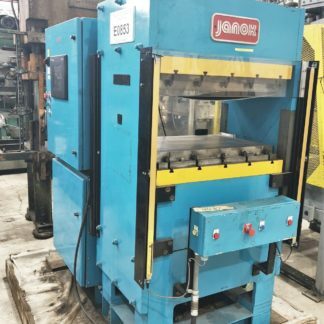 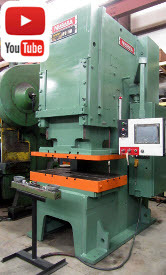 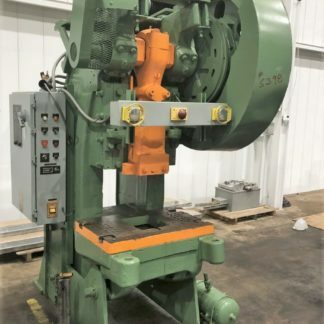 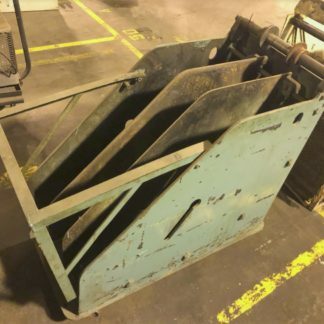 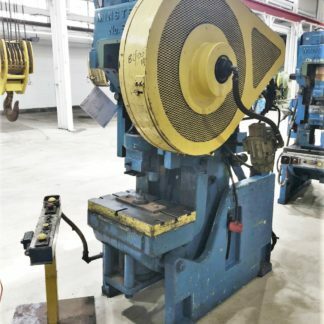 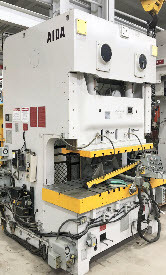 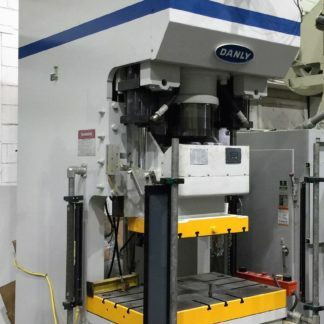 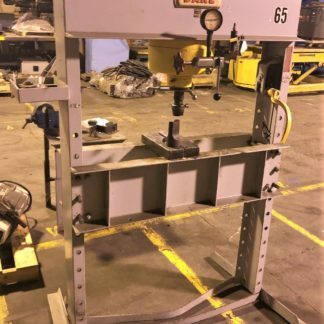 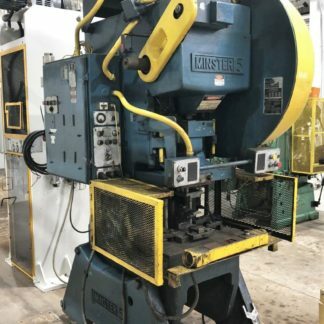 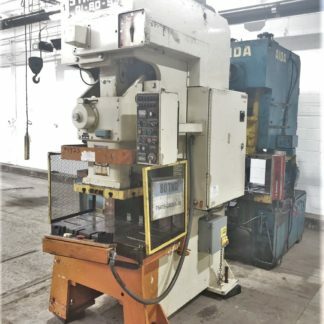 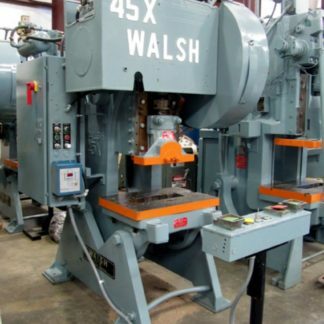 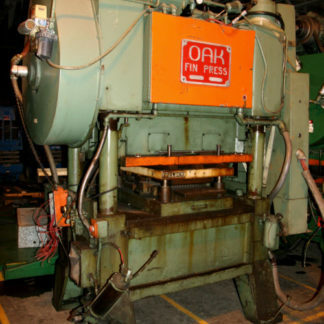 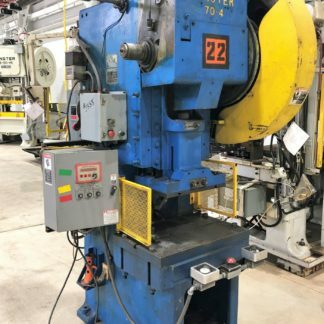 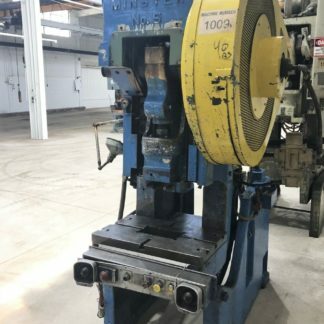 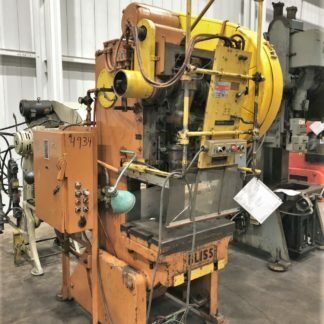 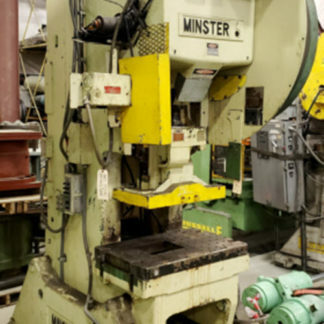 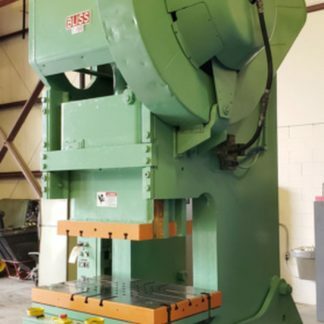 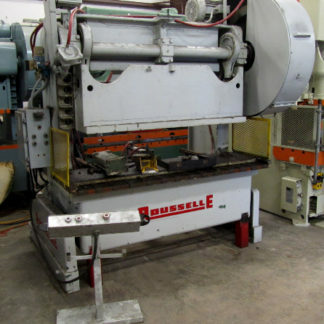 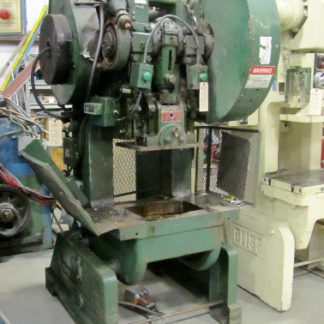 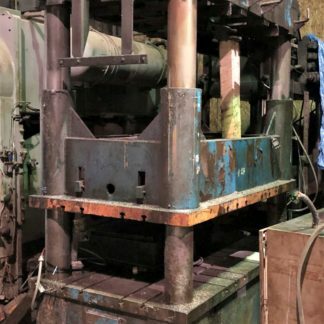 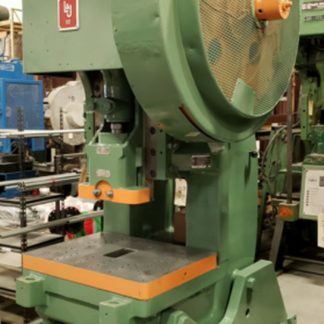 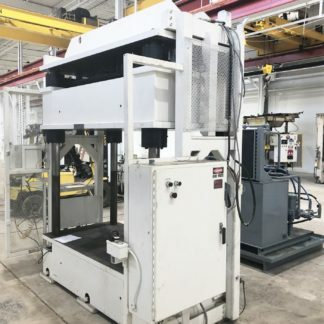 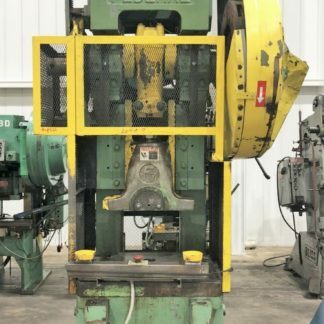 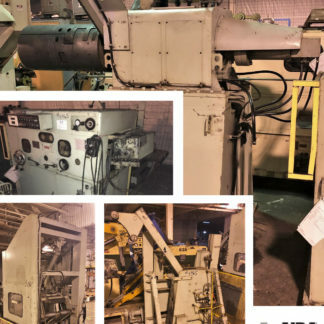 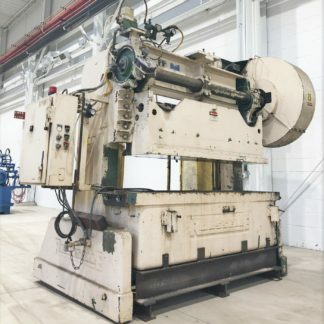 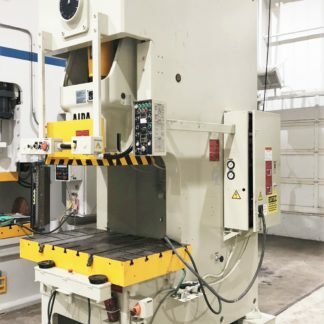 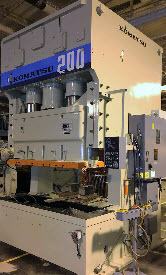 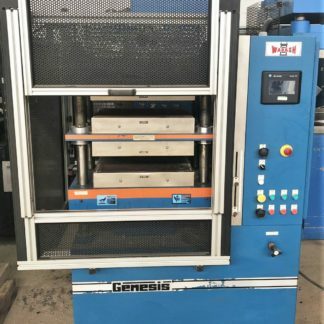 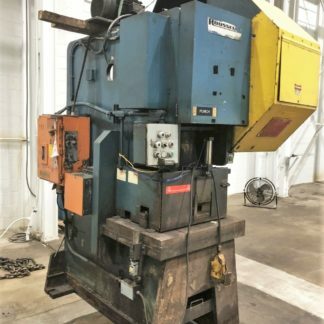 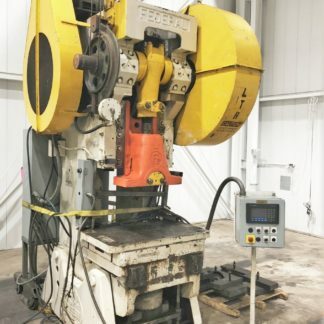 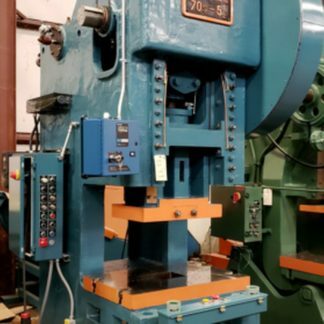 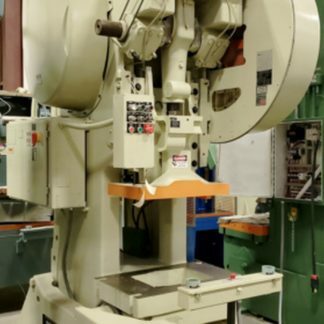 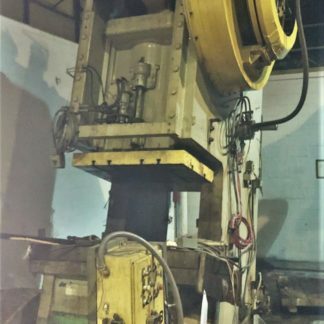 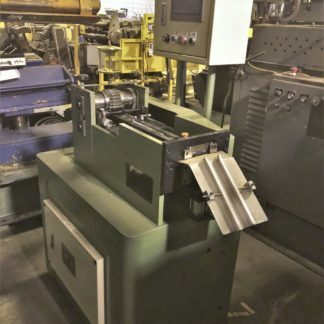 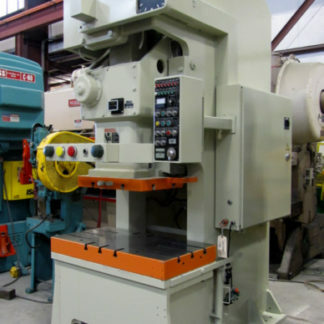 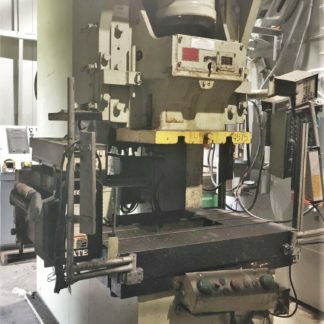 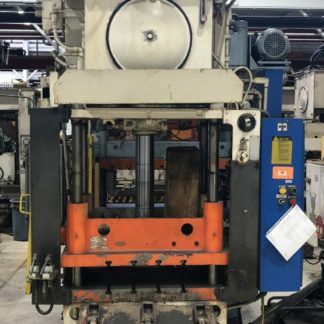 A very affordable option for punch press operations, used OBI presses provide manufacturers speed, precision, and versatility within their production line. 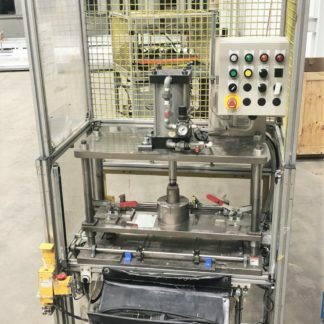 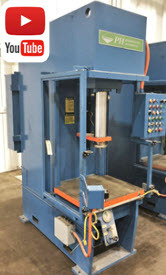 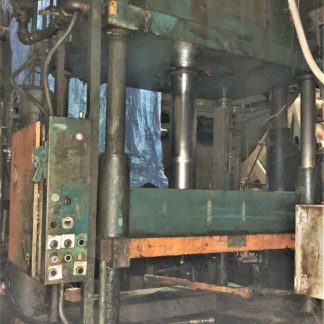 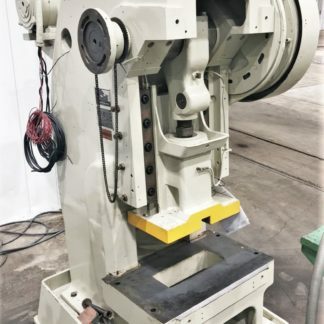 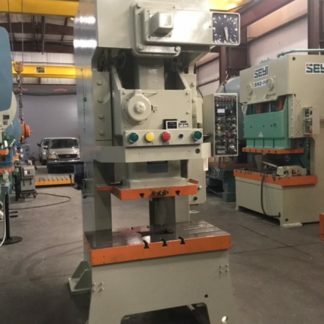 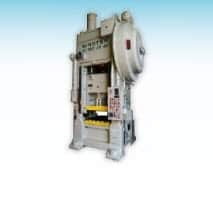 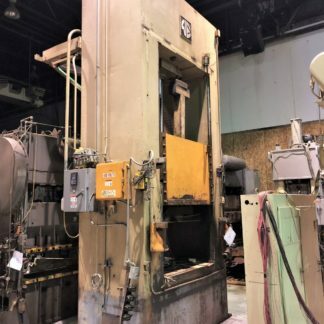 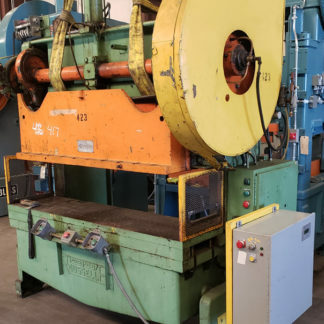 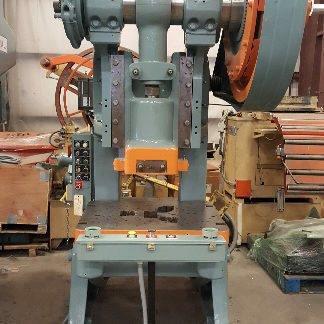 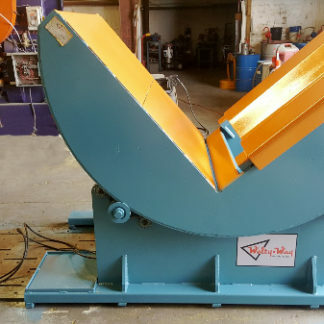 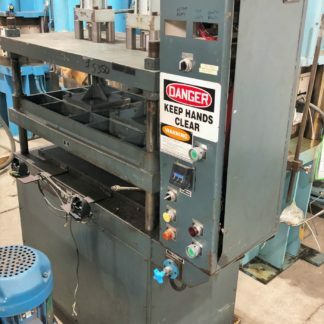 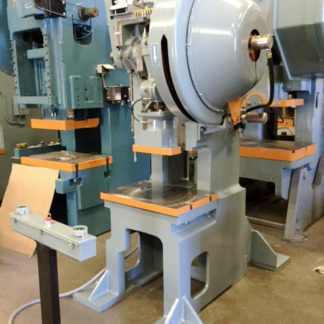 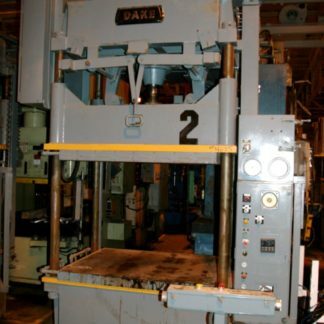 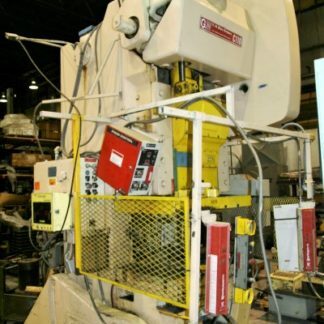 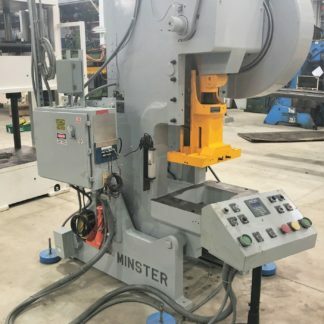 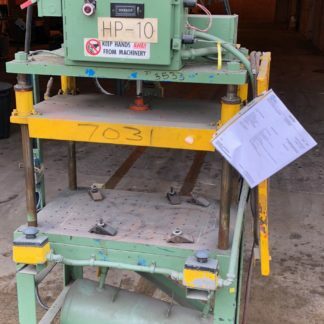 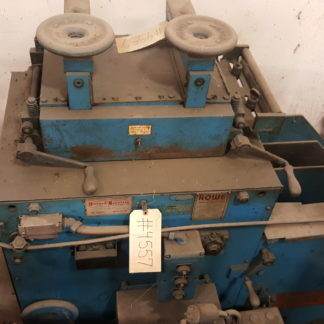 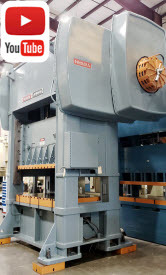 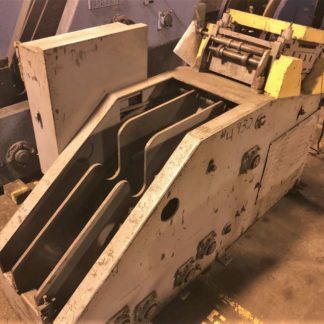 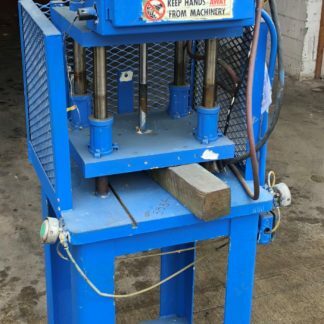 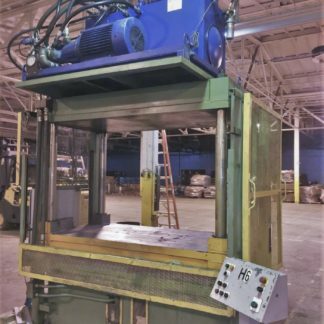 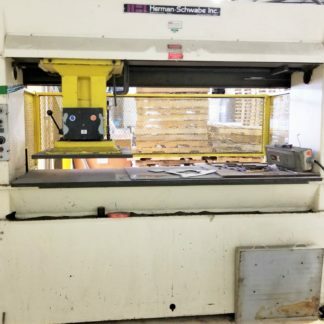 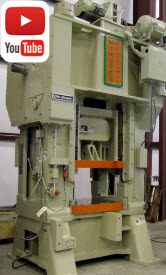 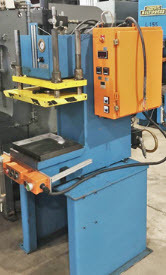 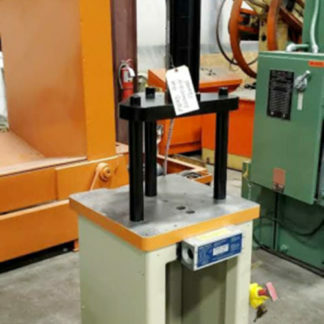 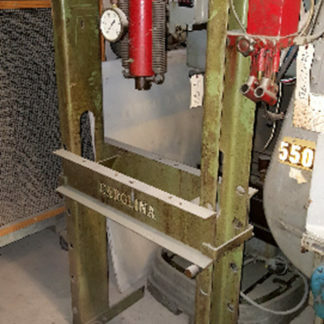 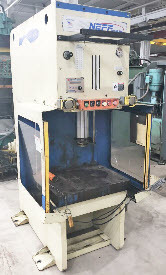 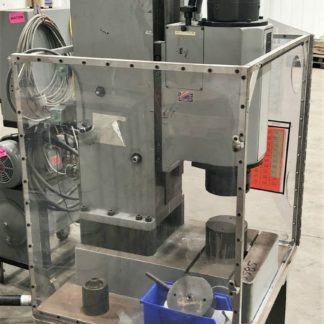 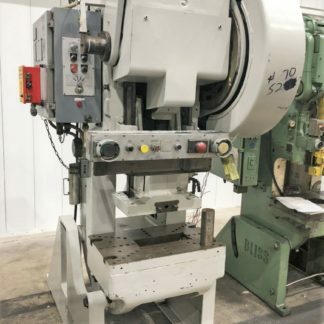 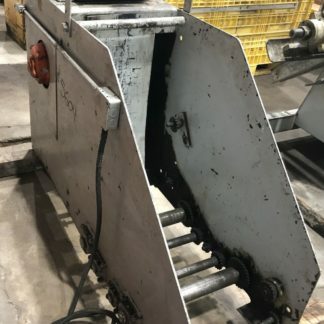 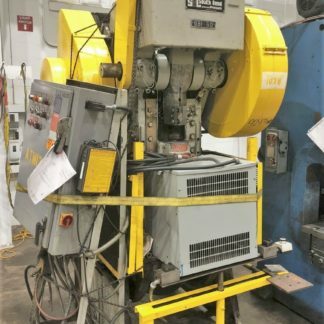 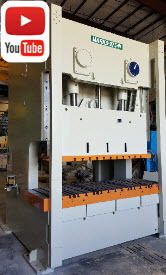 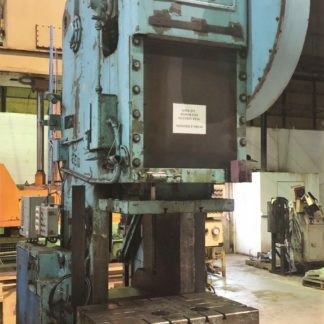 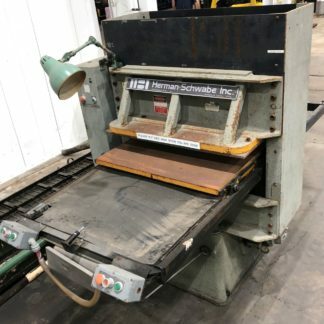 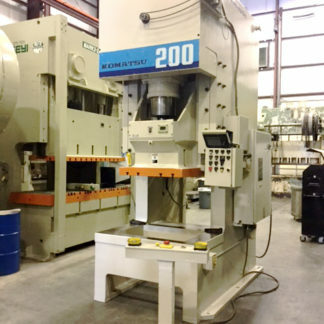 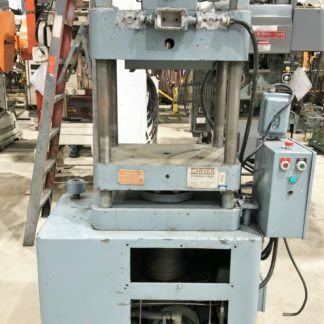 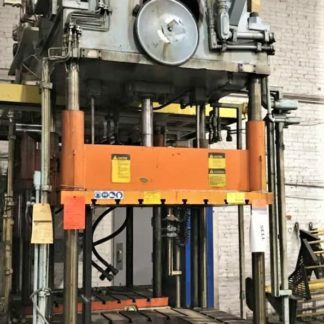 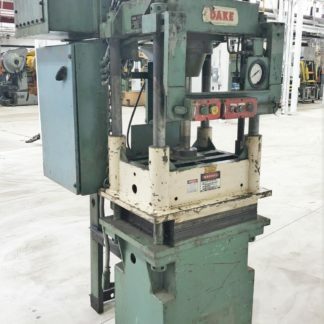 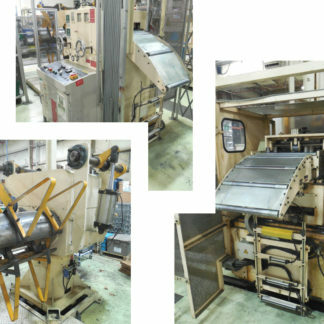 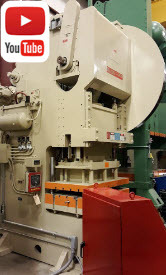 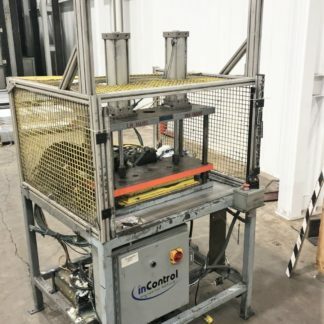 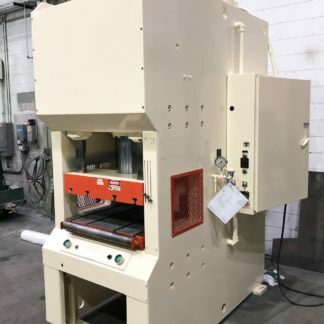 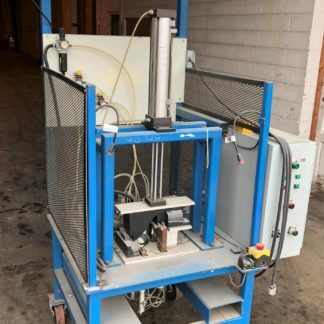 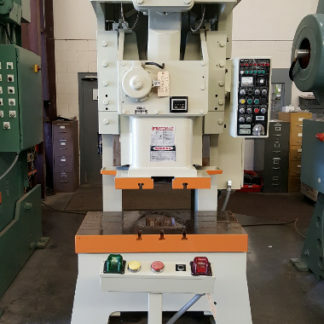 Many of our OBI punch presses for sale come equipped with the latest safety features including light-curtains, steel guards, and dual palm buttons. 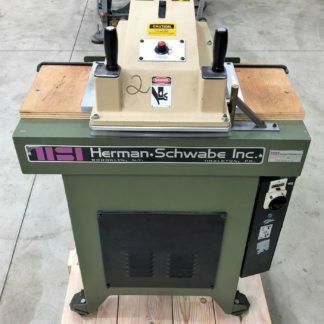 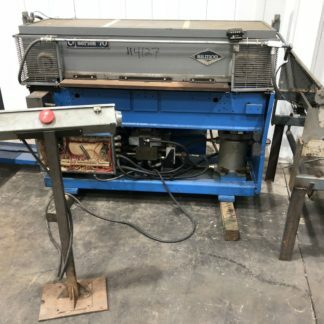 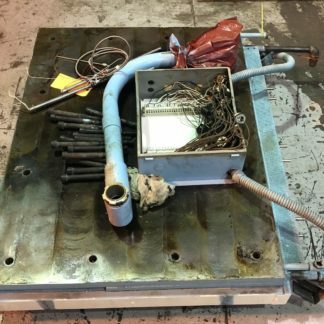 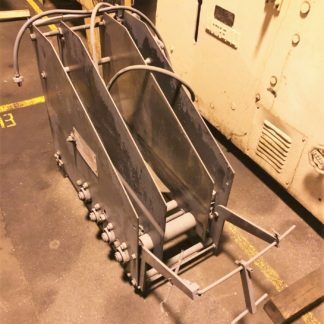 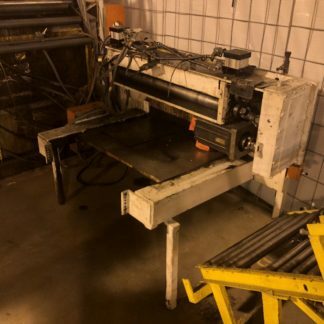 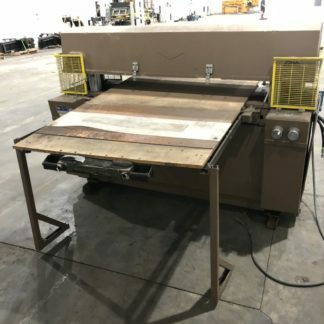 With the trusted functionality of an OBI used punch press, shop owners all around the world have been saving floor space and running production since the OBI press was first invented in the 19th century.